Featuring 8 Wolff High Output Lamps, 4 SunFusion High Output Arm and Face Lamps and 4 SunFusion High Output Face Lamps. 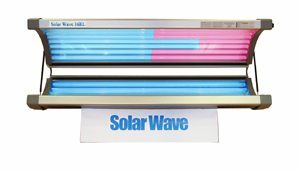 With all of the features you would expect from the latest home tanning technology, the Solar Wave 16R also boasts a tanning surface that is 30% larger than our competitors at 75″ x 34″. Enjoy this spacious tanning bed in comfort. Please ask for our Maximum Bronze Upgrade to maximize your results while minimizing exposure times. 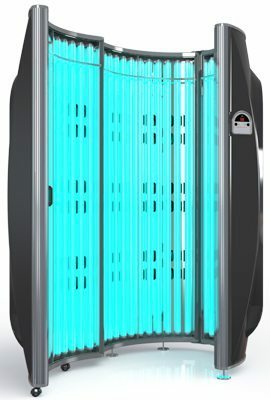 For only $99, we can reduce your exposure time by 50% and still give you salon quality tanning sessions without leaving the privacy of your home. We DO NOT compromise your safety like some of our competition by putting a unprotected cheap metal grid in our tanning units. ALL Beds come with a top and bottom protective UV Acrylic shield. (A) Contraindication: This product is contraindicated for use on persons under the age of 18. (B) Contraindication: This product must not be used if skin lesions or open wounds are present. (C) Warning: This product should not be used on individuals who have had skin cancer or have a family history of skin cancer. (D) Warning: Persons repeatedly exposed to UV radiation should be regularly evaluated for skin cancer. The manufacturer reserves the right to make reasonable adjustments or substitutions at their discretion for refinements that improve the quality, appearance and performance of the product. 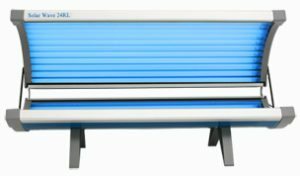 Tunnel design completely surrounds tanners for fast all-over tanning results. Durable aluminum frame ensures easy maintenance while standing the test of time. High-glossed aluminum reflectors for maximum tanning power and efficiency. 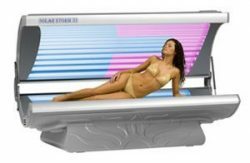 High-performance acrylic sheets provide maximum UV light for better bronzing results in less time. Delivered 98% preassembled to allow for faster, easier assembly. Standard lifetime warranty covering frame of the bed. Protective UV Acrylic in BOTH Canopy and Bench of unit, as we DO NOT compromise safety by adding cheap metal grids in Canopy. The following terms and conditions must be agreed to during checkout in order to purchase a tanning bed. Please read the following and contact us if you have any questions before finalizing your purchase. TRAINING COMPLETION CONFIRMATION RESIDENTIAL and COMMERCIAL TANNING BEDS AND BOOTHS LPI, Inc. I have read and understand the content of the LPI, Inc. User Instruction Manual. I have/will consult my Physician if I am taking any medications and have regular evaluations for skin cancer when repeatedly exposed to UV radiation. I understand this product must not be used when open wounds or skin lesions are present. This product will not be used by anyone under 18 years of age. I will schedule my exposure sessions consistent with the instructions in the Skin Type Sensitivities Tables of the LPI, Inc. Instruction Manual. 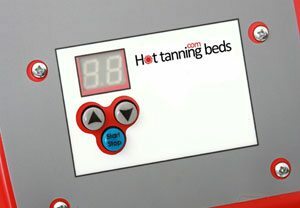 I will use the timer to control the operation of the Tanning Bed. I will discontinue tanning if I experience any health concerns, have had skin cancer, or family history of skin cancer. I will resume tanning ONLY with the approval of my Physician. I will use ONLY 21CFR878.4635 and 21CFR1040.20 approved eyewear and components as listed in the Tables of the LPI, Inc. Instruction Manual. 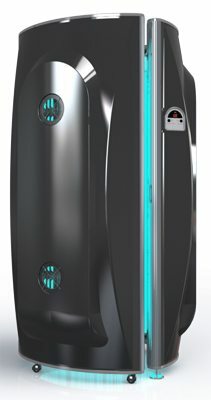 The tanning Bed is to be used by ONLY one person at a time. All major repairs must be completed ONLY by an authorized service representative. I will adhere to the instructions as stated in the Care and Maintenance Section of the LPI, Inc. Instruction Manual. Prior to tanning, my body must be free of cosmetics, tanning lotions, and body lotions. Prior to tanning I will not remove my natural body oil. When tanning I will always wear 21CFR1040.20 approved eyewear.